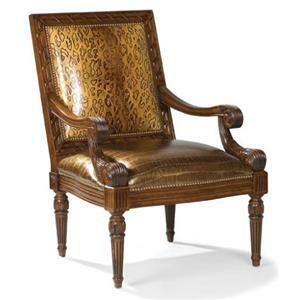 Accent your home with the grace and prestige of this traditional occasional chair. 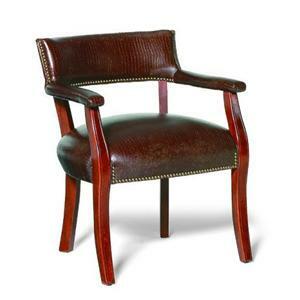 Designed with a decoratively turned wood frame, this chair has a bold yet elegant stature that will stand out in any room. 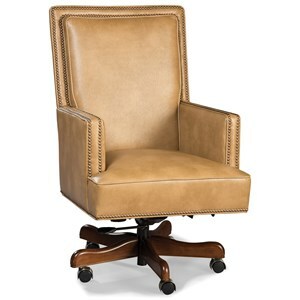 Made for your comfort and convenience, this chair features plush cushion and swivel casters for maximum support and mobility while lounging. 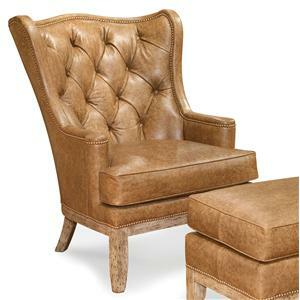 Detailed with a curved back lined in nailhead trim, you are sure to feel sharp and sophisticated in this chair. 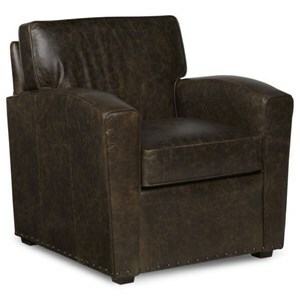 Versatile for a variety of locations and occasions within your home, this chair will be a functional and fashionable accessory. 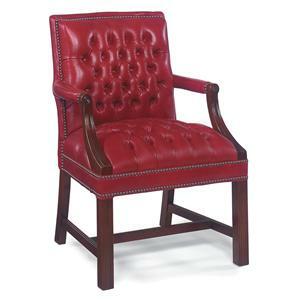 The Chairs Traditional Exposed-Wood Chair with Round Back and Casters by Fairfield at Belfort Furniture in the Washington DC, Northern Virginia, Maryland and Fairfax VA area. Product availability may vary. Contact us for the most current availability on this product.